For many of us, there’s nothing better than cracking open a fresh journal and filling its blank pages with ideas, life goals, inspiration, and doodles. It’s always refreshing to have a clean slate for new beginnings. Bullet journals, gratitude journals, and regular ol’ daily planners can help you focus on making your dreams become realities. 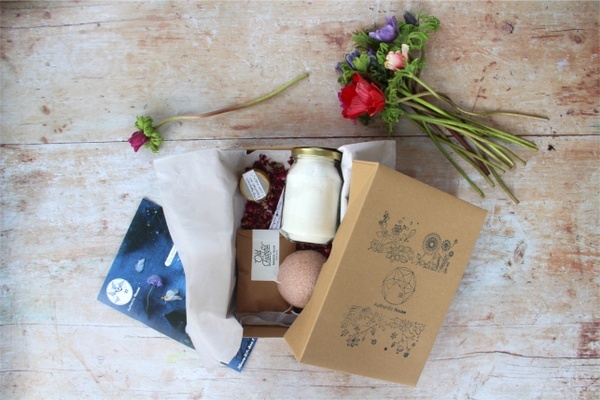 A planner subscription box provides the motivation needed to stay on track. To help you on your journey of goal setting and goal smashing, we’ve compiled a list of 20 fabulous planner and organization boxes. Have a read through and discover the best subscription boxes for stationery lovers to help you start crossing all the things off your to-do list. What's Included: Impress those around you with the sophisticated organization packed into the monthly CLOTH & PAPER box. Featuring 4-7 useful items, like paper, note cards, planners and fancy pens, the thoughtfully curated supplies and goodies packed into each monthly box bring high-end style into the daily grind, and are perfect for those who are always planning the next big thing. What's Included: Send some quality happy mail with the monthly STICKII Club sticker subscription box. It covers all the bases - in colorful happy stickers of course! Available in Cute, Retro or Pop options, each month’s box delivers 5 or more sheets of stickers, a bag of sticker flakes and sometimes a surprise extra, just because. What's Included: unique personalized gift or treat for yourself is My Paper Box. Each month’s box sends freshly designed, themed stationery products inscribed with the name of your choosing. Available in a Mini box with 3 items or a Grand box with 6 or more items, each box includes paper goods like notebooks, journals, calendars, cards and more, all with a personal touch. What's Included: It’s time to get all those great ideas down on paper with the fun stationery supplies packed into The Inky Box. Featuring all that’s needed for hand lettering, from pens and inks to supplies and prints from favorite artists, the handpicked selections will have you creating and showcasing some of your very own unique designs. What's Included: Don’t waste valuable time in the greeting card aisle looking for a card with the perfect mix of artistic creativity and wit. Always have the perfect card on hand for all occasions with the Flair and Paper monthly card subscription. Delivering 4-5 greeting cards and 1-2 extra stationery items, all showcasing beautiful artwork and sassy sentiments, each box keeps you prepared for life’s special moments. 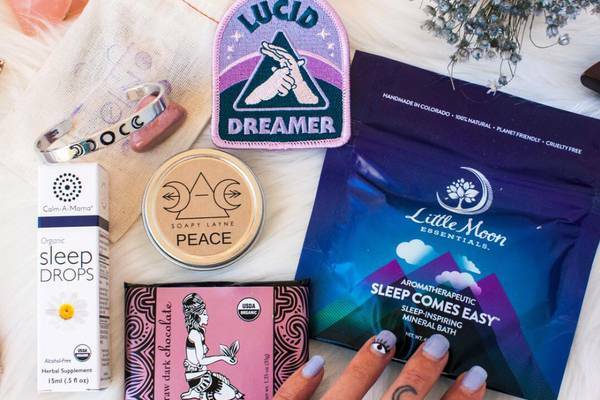 What's Included: Loaded to the brim with useful scrapbooking supplies, indulge your hobby with the Scrapbooking Store monthly subscription box. Sending over 70 pieces of supplies each month, including 12x12 double-sided pages plus a host of additional embellishments, like stickers and cutouts, each box packs a great variety to infuse every scrapbook with fresh creativity. The perfect gift for any scrapbooker! What's Included: Shake up those mundane daily routines by adding whimsy and fun with the Paper Kitty monthly subscription. Each box is overloaded with cuteness in the way of fun office supplies from the best stationery makers around, including items like fancy paper and pens, journals and notebooks. Promote productivity with a stock of smile-inducing supplies. What's Included: The Busy Bee Stationery subscription is a great box for stationery enthusiasts who love surprises! Each month’s box is thoughtfully curated to support a love of writing, journaling, and getting those creative juices flowing. Packed with 5-10 items, like stationery, planners, stickers and writing instruments, each item is both useful and aesthetically pleasing. What's Included: For all those who simply need the perfect pen, the Saturated in Ink subscription box is where it’s at. A monthly subscription that’s bringing letter writing back, it is curated by an official fountain pen addict who strives to bring only the best, while staying on budget. Featuring a pen with ink, sample paper and sometimes a surprise extra, indulge in some fountain pen exploration each month. What's Included: Created by the people behind Ohh Deer, the mega popular stationery shop, Papergang highlights the work of a different artist each month. With 5-8 items in each month’s box, this subscription sends out charming paper goodies perfect for those who enjoy sending snail mail or like to have a desk full of cute supplies. From stationery and greeting cards, to pens and art prints, enjoy exclusive designs each month. What's Included: Vision boards and visual representations of personal goals can be beneficial to staying focused. Scrapbooking is a great way to produce these visuals, and the Zakka Kit brings beautiful, bold Japanese craft items to make it happen. Each month's box is curated with 6-7 high quality paper craft items from art prints, to washi tape and stickers, all perfect to decorate those goals with a little joy straight from the land of the rising sun. What's Included: Get in the mood to organize day-to-day life or learn something new with the high-quality paper supplies in the SCRIBEdelivery monthly subscription. Sourced from the best stationery makers around, each themed monthly box brings 1 pen, 1 notebook, pencils and surprise items for a little extra fun in each delivery. What's Included: Monthly mystery kits from Sticker Guru are now being sent directly to your doorstep. Great for any and all planner lovers, these affordable themed sticker kits are packed with exclusive designs that aren’t found in the main shop. With limited subscription spots available, get in on these one-of-a-kind designs that’ll bring a fun touch to those long to-do lists and full calendars! What's Included: Ensure that some enjoyment is being had in every workday with a bit of custom flair for the desktop. 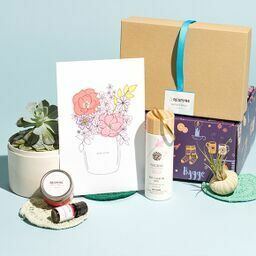 The V. Paperie monthly subscription box is designed around a theme, season or a creative project, and each month’s box delivers 5-7 products, including 3 greeting cards, a paper item like a journal or notebook, and an office accessory or special gift. What's Included: Featuring themes that range from coffee to flamingos, each In Your Case Stationery Box is stuffed with a mix of beautifully designed stationery products, including pens and pencils bookmarks, sticky notes, and desktop items, like staplers and tape dispensers. Curated to be both useful and unique, it’s a great box for any student or boss lady. What's Included: Step off of the high street with the Spotlight Stationery subscription. Representing premium artisan brands and up-and-coming illustrators, unbox pens, pencils, postcards, stationery and all things paper. Get the goods you need to keep your stationery stash full of nothing but the best, and as an added bonus, a donation to a local charity is made with every sale. What's Included: Add a customized touch and a dose of fun to any mundane organizational tasks with the Pretty Paper Club monthly subscription boxes. Personalized and coordinated boxes arrive each month bearing beautifully crafted stationery and a handful of accessories, including pens, stickers, labels and more. It’s the perfect way to embellish any workspace. What's Included: Trendy Memo is a monthly stationery subscription that’s great for anyone who wants an instant style update for their office space. 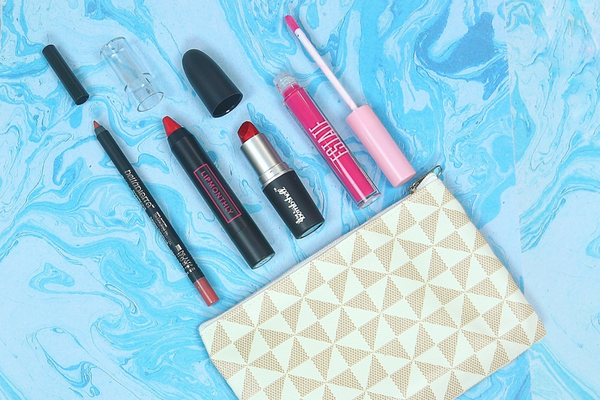 Each month’s box delivers fun and function featuring 4-6 chic, on-trend products from high-quality pens and desk accessories, to beauty or relaxation products and tasty snacks. Delivering an instant workspace upgrade in every box! What's Included: One of the best boxes for lovers of snail mail and whimsical stationery, Postmark’d Studio sends themed boxes sporting fabulous graphic designs. Get writing to the ones you love with 4-5 greeting cards, stamps and extra artsy items that up the fun factor! Learn new tips and tricks that turn letter writing into an art to master. What's Included: Learn new craft techniques in card making with each monthly box of The Paper Crate. Sending kits to create 4 unique greeting cards each month, including a stamp set, extra embellishments, simple instructions and a variety of finishing items, every box helps you hone the skills needed to create beautiful craft cards. From beginners to experienced crafters, each box unlocks creativity. Didn’t see the best stationery subscription box for you on this list? Check out our other guides below!